Hey There! Step right in and make yourself at home! I love helping young women live beautiful and inspired lives. Living free in Jesus, confident in His love, and empowered by His Spirit. Unafraid to be bold and know it’s okay to actually live like you’re LOVED! Grab a cup of coffee or tea, curl up in your favorite cozy spot, and hang out for a while. I absolutely love meeting and making new friends, so leave a comment or a note in the contact form. This ain’t just a place where I talk, it’s all of us girls in it together! New here? 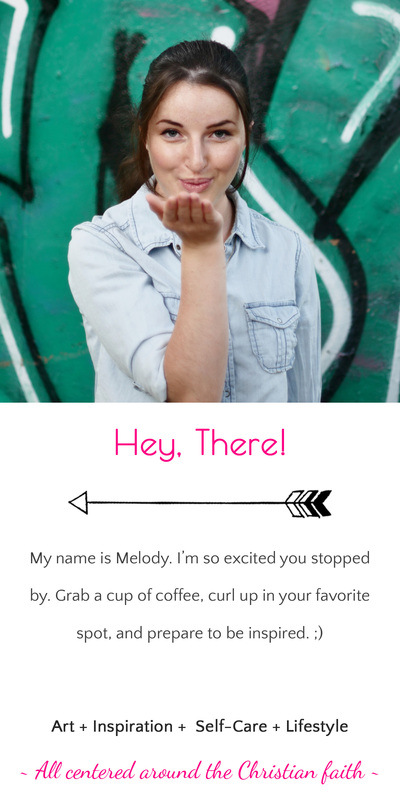 To start, I’m Melody Horst. I’m so delighted you stopped by and hope you love this place and leave refreshed and inspired. If you’re wondering what to expect, I blog about all of those topics above and all the tiny genres within those topics. I know, it’s a lot. That just means there’s plenty of room for everyone! I started blogging in 2016 as just a creative outlet for the art and music I create. It has grown into so much more since then and I’m excited about how far we will go in the next years. I have so many exciting things planned, so stay tuned. I was recently privileged to create my purpose statement with my amazing Aunt Fern. This definitely sums up my life purpose/goals. 🙂 That’s what this blog is all about. Be sure to go check out her services here!